A new action-slash-survival game is coming from Gunfire Games, the developers behind the upcoming Darksiders 3. Published by Perfect World Entertainment, Remnant: From the Ashes was announced for PlayStation 4, Xbox One, and PC for 2019. 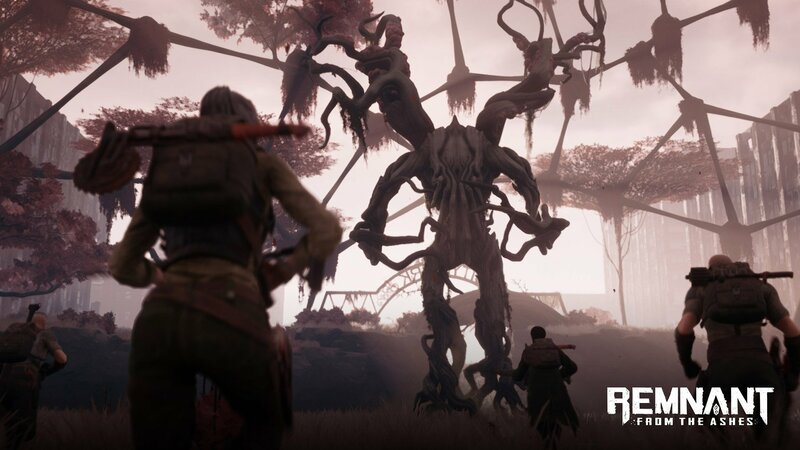 According to the game’s official website, Remnant: From the Ashes is a third-person game in which up to four players can band together to fight an invasion of The Root, “horrors from another world.” Player characters can be customized to some degree, and through leveraging specialization-based skills and a crafting system, groups will work together to fight enemies that can be as large as buildings. The world is in ruins. Only a remnant of mankind remains, hunted to near extinction by horrors from another world. Most of humanity live like rats in the rubble of devastated cities. A few survivors with the technology to open portals to fantastic, alternate worlds venture out each day hoping to scavenge resources and find a way to defeat the invaders. They struggle to carve a foothold, rebuild, and then retake what was lost. Remnant: From the Ashes is a third-person survival action game where players create characters to suit their playstyle and set out alone or alongside a team of up to three other players to explore and survive the perils of diverse and deadly environments.